Located in desirable South West Oakville, this stylish newly built 5.1 bed, 5.2 bath custom smart home offers a spacious floor plan boasting 7,312 square feet of total finished living space on a 145 foot deep lot. 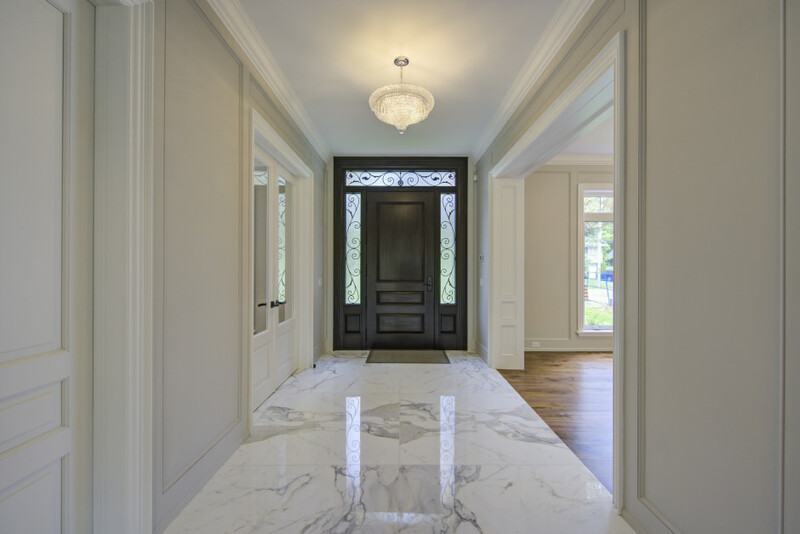 The entrance to this luxury home begins with a dramatic Calacatta marble foyer, choice finishes with heavy millwork, deep crown moulding, high baseboards, walnut hardwood flooring and LED pot lighting are used extensively throughout. The built-in sound system and tasteful imported crystal light fixtures add an elegant vibrancy with ten foot ceilings on the main level. 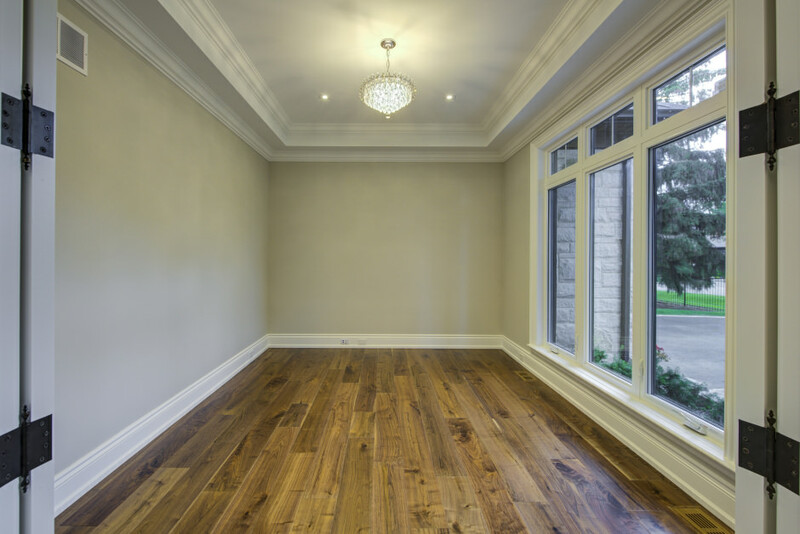 The great room features a coffered ceiling, full wall of fabulous windows, and gas fireplace sided by built-ins. The great room opens to a gorgeous eat-in gourmet kitchen with superb attention to detail including custom floor to ceiling cabinetry, soft close drawers, massive 10' island with polished Bianco Precious Quartzite Granite single slab counter top, designer Ceasarstone Statuario Nuvo counters, the finest appliances featuring Wolf six-burner gas cook-top, Wolf built-in oven and microwave, Sub-Zero side-by-side refrigerator/freezer, Asko dishwasher, Jennair built-in wine fridge, walk-in pantry and access to a spacious fully fenced back yard. 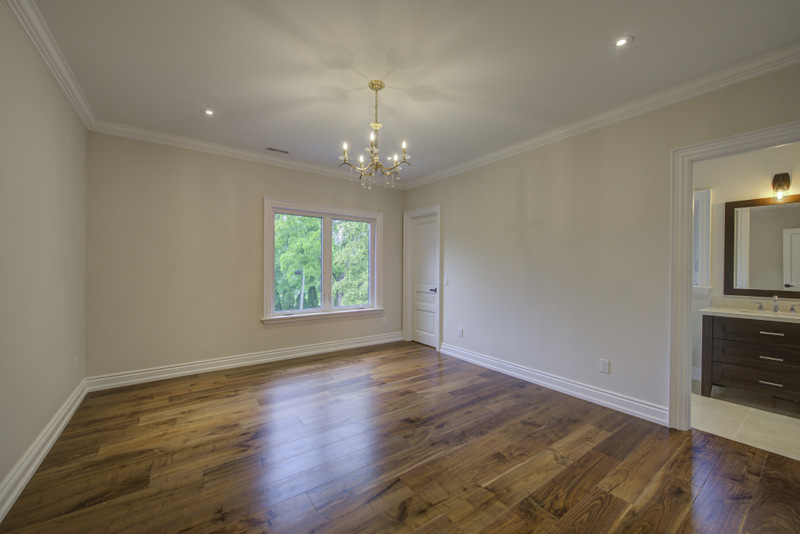 The formal living room with gas fireplace, dining room, generous size den, two-piece powder room and large mudroom with garage and back yard access completes the main floor. The splendour continues on the second level with a bright landing from the massive sky light, a spacious master bedroom featuring two walk-in closets, custom walnut built-in window bench seating with storage compartments. 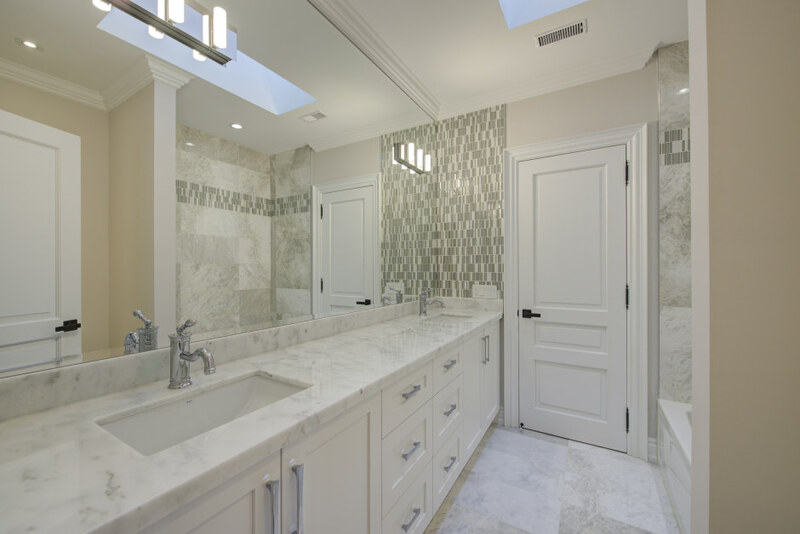 The sumptuous five-piece master ensuite features 11' ceiling, heated flooring, His & Hers vanity sinks, standalone soaker tub, and seamless glass shower. The remaining four bedrooms are generous in size and all feature walk-in closets with custom built-ins and ensuite access with heated floors, and the large laundry room complete the second floor. The fully finished lower level includes radiant in-floor heating throughout, plenty of halogen pot lights, deep windows, built-in sound, recreation room with gas fireplace, games room, custom home theatre, exercise room, 6th bedroom and another two-piece bathroom and walk-up to back yard. The fully fenced pool-size yard with in-ground irrigation system, 3-car garage, central vacuum and central air, stone walkways, porch and patio complete this wonderful family home and is located near town a short walk to the lake, the YMCA & Oakville’s best schools including Appleby College.